Run DeepLab evaluation script upon request. Note: this current logs evaluation events to a directory other than the training log directory. This is because logging to that directory appears to disrupt the normal logging behavior of the training script (it might be a problem caused by the slow computer that I am using, I will have to investigate more later). 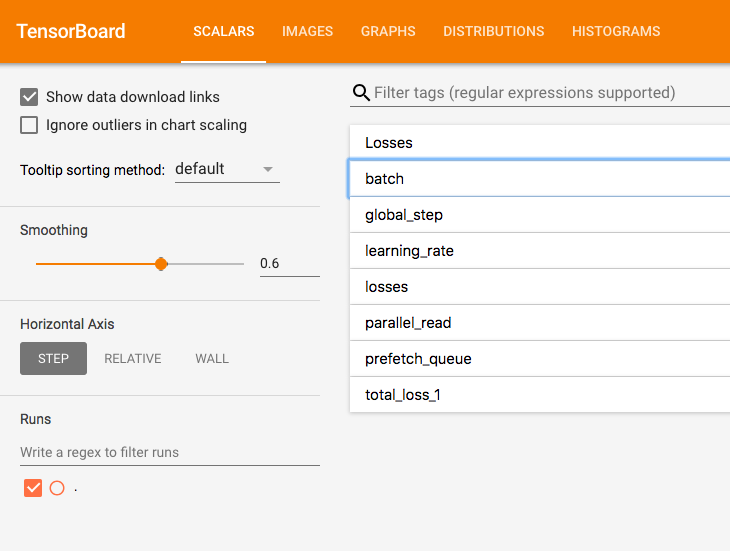 I tried it and the miou metric was logged to the console, but didn't show up in Tensorboard. replace_model: Replace the model checkpoint if exists. checkpoing if exists, if the backend allows for this. It seems like most people would want to see validation metrics, and only some would want to turn it off (to save CPU power I guess). The eval script is extremely expensive to run. Do you know if it uses the CPU in parallel with training on the GPU? I'm hoping that's the case. Using one of the CPUs isn't so bad, especially if we set the number of validation samples to something relatively small so it won't be constantly running. To the best of my knowledge, it uses the same resource(s) as the training script. Is this a fresh comment? miou should show up after some time (after the first checkpoint has been created and the eval script has had time to run). I tried it a while ago, and that's what happened. Maybe I didn't wait long enough for the first checkpoint. I followed your testing instructions and didn't see the miou panel in Tensorboard even after checkpoints were written. Confirmed working with this branch. Keep in mind that this is somewhat timing dependent as well. 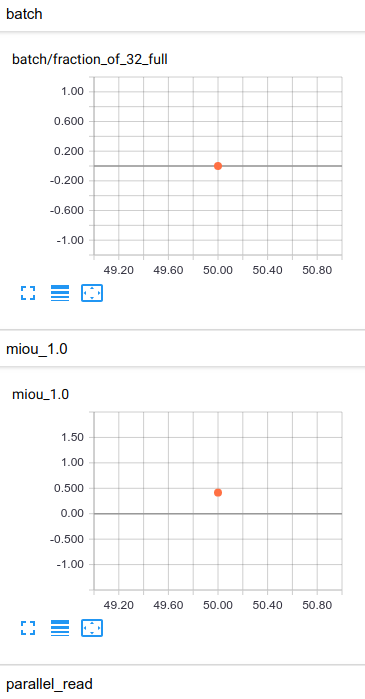 I was never able to see the miou show up in tensorboard on my laptop because running the training and evaluation scripts at the same time seemed to be too taxing (the eval process seemed to either stop making progress or some other timing bug was exposed). On a more powerful computer, the miou shows up every time. This goes to my comment above about the eval script being probably too expensive to be practical (or at least desirable). I think this is ready to merge.